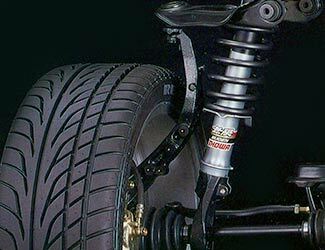 King Motorsports carries a full line of Honda and Acura suspension products. We have the best selection of Honda Civic suspension kits and parts on the internet. We have been installing, racing and building the best Honda suspensions for over 30 years! We carry bushings, camber kits, coilover kits, sway bars, lower control arms and much more! Checkout these top brands: Mugen Suspension Products, Skunk2 Suspension Products and Blox Suspension Products. Sharpen the handling of your Beat with the Mugen Sports Suspension Kit! This suspension kit will lower your Beat 1” to give it an aggressive look. The progressively wound springs give excellent ride quality along with a huge improvement in handling. This kit contains two front and two rear pre-assembled shock/spring assemblies.